Google Google+ Short Term Business Loans - Boost your business finance today! Australia's leading low-doc business and investment loan specialist. Short to medium term business and investment loans. At Australian Mortgage Finance we specialise in short to medium term business and investment finance. We offer loans from $50,000 to $1,000,000 (more on application) These funds must be used predominantly (more than 50%) for ANY business or investment purpose other than residential investment. Companies and Trusts can borrow for any worthwhile purpose. If you would like one of our loan consultants to contact you regarding a business loan, please complete the form to the right and we will to contact you as soon as possible. What does Australian Mortgage Finance look at when assessing a loan? Fund a commercial or industrial property purchase where the bank cannot settle in time. Fund a residential investment property purchase where the property is to be owned in a trust or company name. All Australian Mortgage Finance loans require an acceptable exit strategy which details how the loan is to be repaid. All Australian Mortgage Finance loans require security in the form of a first or second mortgage. Lets get started on solving your finance problem. 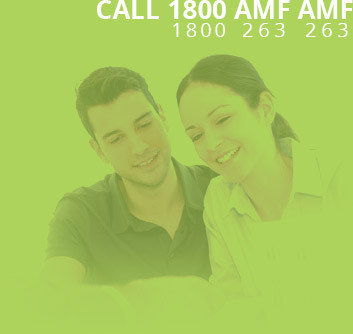 Self Managed Super Funds (SMSF) can both borrow from AMF and invest in AMF. A SMSF can borrow for any property purchase either residential or commercial. The loan would need to be secured against real estate but no guarantee by the fund or the trustee is required. Such loans are extremely no-doc with our only requirement equity in real estate. Australian Mortgage Finance is an Australian company specialising in Business Loans, Investment Loans, Company Loans and Commercial Property Loans.